Back to Twenty Ten $4.75 SOLD OUT - Red, holographic and pale blue glitter in a cosmic black jelly base. Starry starry who? >;) 2 coats shown here with topcoat. Olive Me $3.75 (1 available) - This is a frosty, light olive green. It has a silvery shimmer. 2 coats shown with topcoat. 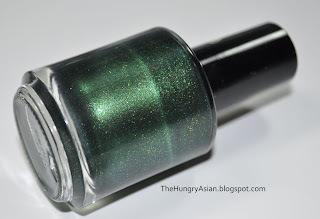 Lucky Ducky $4.75 (1 available) SOLD OUT - If nails could drink green beer this would be it! 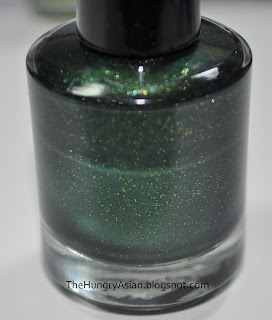 A perfect St. Patty's Day polish, a blackened clover green with superfine lime green glitter. 2 coats shown with topcoat. Strawberry $5.00 (1 Available) SOLD OUT- Try not to eat your fingers while you wear this red jelly with fine black glitter. 2 coats shown with topcoat. 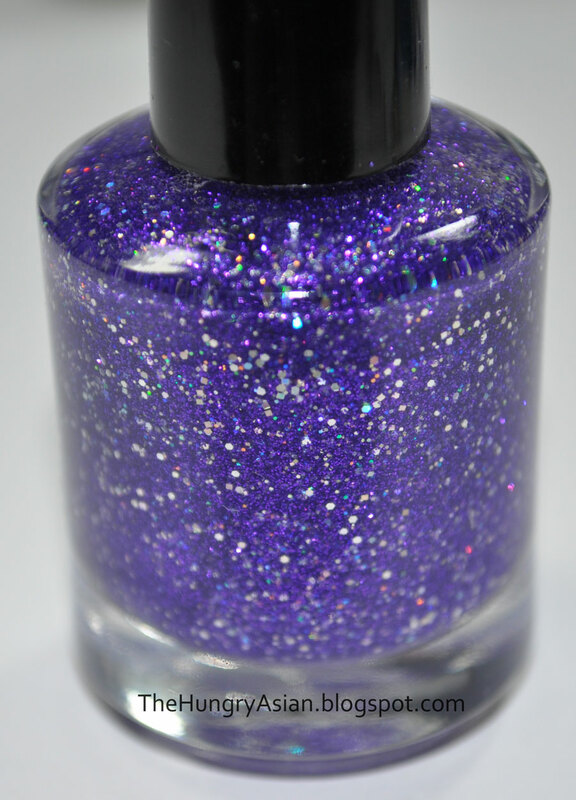 Alicia $4.75 (1 available) SOLD OUT- Superfine royal purple glitter with small and square silver holographic glitter in a clear base. French manicure gradient shown with 2 coats and topcoat. Cold As Steel $4.00 (1 available) SOLD OUT A shimmery darkened blueish gunmetal grey. Cookies and Cream $4.75 (2 available) SOLD OUT One of my most requested frankens! A creamy white with fine black glitter. Let's go get ice cream! 2 coats shown with topcoat. Fender Bender $5.00 (1 available) SOLD OUT How is this related to a car wreck you ask? This was supposed to be a green glitter and I thought it was a dud so I threw a bunch of stuff in and pow! Complete accident turned awesome, maybe I should have named it Penicillin. Superfine lime green, bright blue, yellow and fuchsia glitter in a clear base. This one packs a punch and only requires 1 coat as shown. Twenty Eleven $4.75 (1 available) - SOLD OUT It is a new year after all and this is my current years masterpiece. My only regret is I don't have a bottle of this, har har. 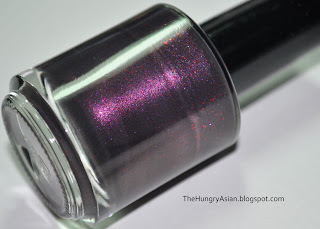 This is kind of a dirty mauve with a purple shimmer. Oh that's not all, don't forget the superfine purple glitter and fine red glitter floating within! 2 coats shown with topcoat. Steph $4.75 (1 available) - SOLD OUT Named after my good friend Steph she inspired this one with a beautiful bracelet she created. These colors remind me of warmer weather and cherry blossoms. 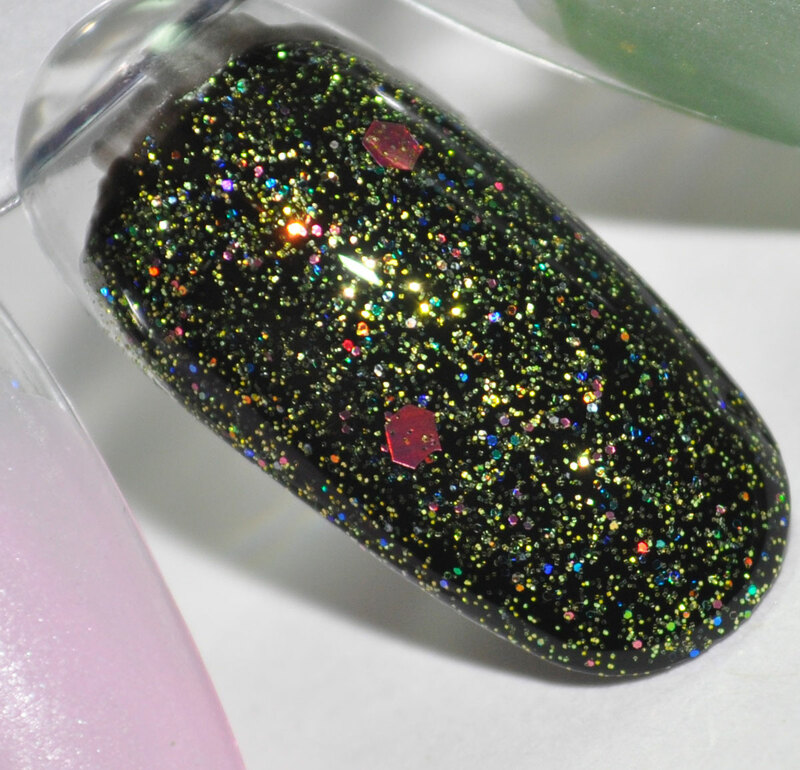 Superfine limegreen glitter, small and large pink hex glitter with a sprinkle of blue/green glitter. This is meant to be a layering topcoat, but can be worn alone like shown above 2 coats with topcoat. 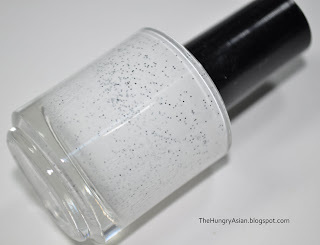 On the nail wheel is 1 coat over black creme. 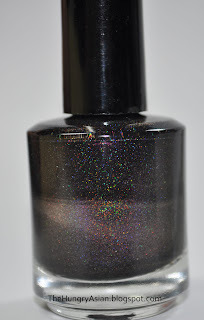 NYFW '11 $5.00 (1 available) - SOLD OUT I made a franken during nyfw last year so let's keep the annual traditions rolling with this glitterbomb. 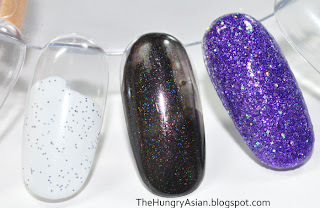 Superfine slate blue, navy blue and merlot glitter with silver holographic hex glitter in a clear base. 2 coats shown with a topcoat sandwich. Jet, Schmet $4.75 SOLD OUT - Blackened holographic with a maroon undertone. 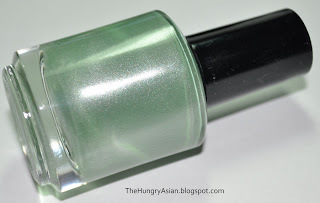 Shown on the nail wheel is 1 coat but this will require at least 2 for opacity. Sneeze Breeze $4.75 (1 available) - SOLD OUT Booger blasters rejoice, it's back! 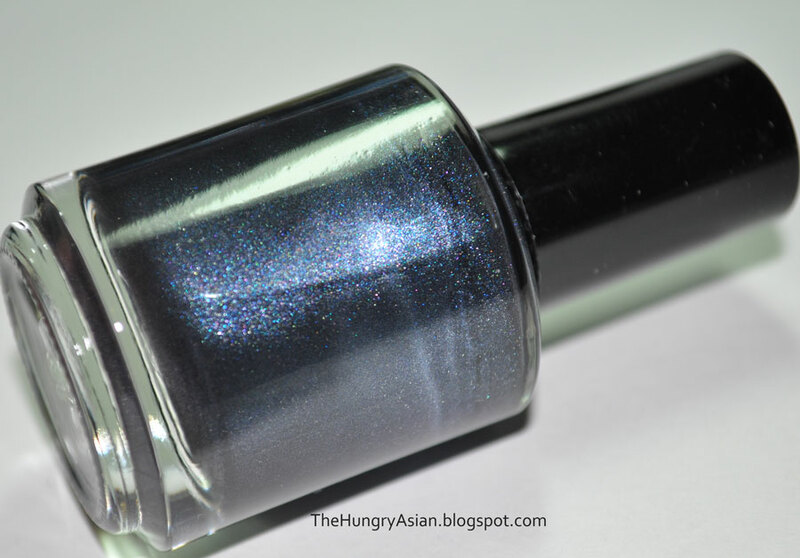 Fine bright blue and black glitter in a clear base. 2 coats shown while wet with no topcoat (will definitely require topcoat!). 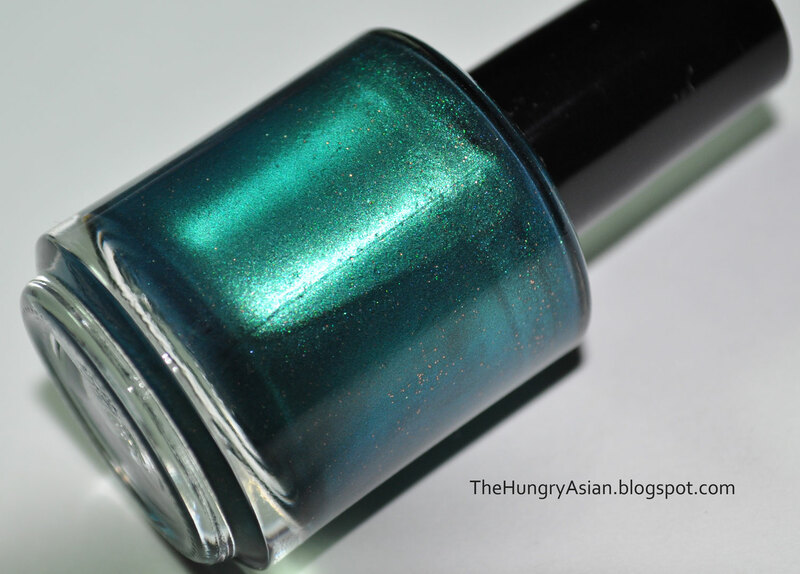 Tealdrop $4.50 (1 available) - Shimmery teal with sparse superfine salmon glitter. 2 coats shown no topcoat. Everything Tastes Better With Bacon $ 4.75 (1 available ) - SOLD OUT Brooke from Getcha Nails Did inspired this color and I hope you like the name girl! Dark shimmery blue with sparse fine red glitter. The red glitter effect is very subtle on the nail. 2 coats shown with topcoat. Please try a topcoat sandwich with my glitters to save you hassle. Apply all coats of glitter, then apply your quickdry topcoat like normal. Wait for everything to dry, then apply a normal slower drying clearcoat and immediately apply your quickdry topcoat on top again. Yay you made it to the end, thank you all for enjoying my frankens with me. I hope in the near future that shopping will be much easier and accessible for everyone (international and non-Pay Pal users).